Stephanie Skryzowski is the Founder & CEO of 100 Degrees Consulting which helps purpose-driven leaders make smart decisions based on their numbers, so they can do more and serve more. A Chief Financial Officer, she is also the creator of Master Your Nonprofit Numbers, an online course in financial management for nonprofit leaders. 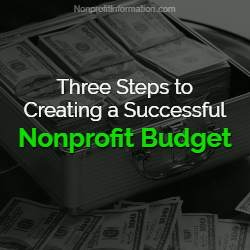 A nonprofit budget is more than just an Excel sheet filled with numbers. When prepared and monitored correctly, your budget is your roadmap for planning the year’s income and expenses, and ultimately impact. Many non-numbers people shudder when they think of the annual budgeting process, but it serves a higher purpose than just checking a box for good governance. A budget gives us the green light or red light on whether something is realistic. The budget will give us a quick answer as to whether or not we can expand to a new location this year. A budget helps with sequencing and planning. By breaking out our income and expenses by month and tying it to a cash flow, we can easily see when we might be able to buy that new vehicle we need. And finally, a budget serves as a KPI (key performance indicator) tracking mechanism. When created well and input into the accounting system, we can use the budget each month to track our performance, make course corrections throughout the year, and ensure we are making an impact while staying financially sustainable. Budgeting is one of the most critical activities an organization will undergo each year, but the annual budgeting process is not usually an enjoyable process for anyone outside the finance department. It can be challenging with unpredictable revenue streams, frustrating when it feels like there’s not enough money, and confusing when trying to ensure that all departments’ budgets are captured accurately. These common challenges often stem from the budget creation process, and not the numbers themselves. Many organizations create their budget in a vacuum; one or two people pull some numbers together based largely on last year’s budget and what they think they can fundraise this year, then present it to the board for approval. The result? Not enough funds budgeted to accomplish their impact goals, no buy-in from the rest of the staff, and an under-resourced organization. However, there are three key steps to creating a successful budget, before you even get to the numbers. 1. Create teams of stakeholders. In order to ensure that we have organizational buy-in and engagement on our numbers, we need to make the budget creation process a team effort, no matter how small your organization. I like to create a uniform template for each department or program area and instruct the leaders how to fill it out, then pull them all together in a summary page when everyone is done. This collaborative and inclusive process ensures that all budget needs are met, because you may not know that Chris’ computer is 12 years old and crashes a few times an hour. This is not to say that all expenses are included in the final budget, no questions asked, but it does mean that all voices are heard and ownership is shared. 2. Align your budget with your strategic plan. If your budget is the roadmap for your annual income and expenses, your strategic plan is the globe. It’s the longer-term, big picture plan for where you’re going and the massive impact that you’re going to have on those you serve. Hopefully it’s not a plan that get created then shoved in a filing cabinet somewhere, but one mistake I see many nonprofits making is that they don’t ensure their budget is aligned with their strategic plan. In other words, both important documents are created in their own silos. Instead, look at your strategic plan goals for this year and build into the budget exactly how much money you will need to achieve those goals in this fiscal year. Tie your numbers to outcomes. 3. Build the budget backwards. Most organizations look at how much money they raised last year, maybe add 3-5%, and declare that number as this year’s budget. Then they fill in the expenses to match that income number and cross their fingers that there will be enough to accomplish their programmatic goals. But this is wildly limiting and almost always results in there not being enough. Therefore, I encourage organizations to start with their expenses. Figure out exactly how much money you will need to accomplish what you’ve laid out in your strategic plan, including staff, equipment, and any other investments. Then, and only then, back into an income number. The annual budgeting process is a great opportunity to increase engagement within your team and help the organization become crystal clear on your goals, even if you’re not all numbers people. When done thoughtfully, the budgeting process will develop a roadmap to help you increase fundraising, provide the resources you need for your team, increase the impact you have on those you serve, and promote long-term financial sustainability within your organization.